The Mark 5 is in its first stages of development. Here's how it goes together. Any project worth building is worth documenting! 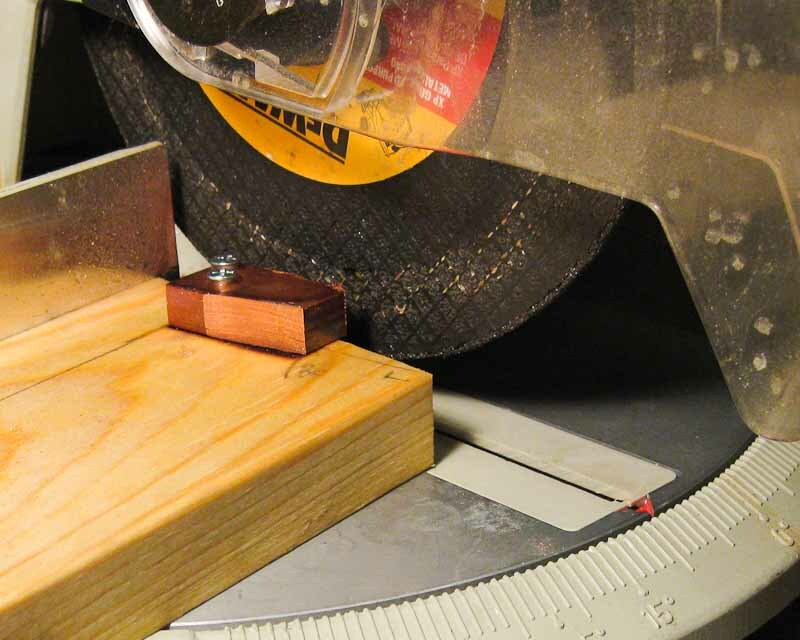 We can grind off copper against the side of a metal-cutting blade mounted in a chop saw. The block is pushed sideways into the blade. The saw is set for an 8-degree angle, and the wood was initally cut at the same angle. This worked pretty quickly but the copper got extremely hot. You can see where the wood is blackened from the heat. It was periodically quenched in a bucket of water. 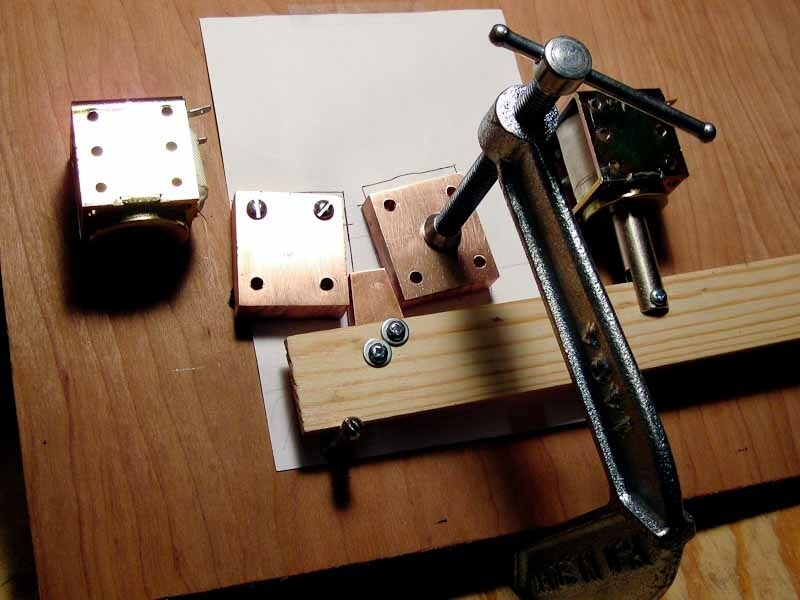 Copper pieces are aligned and clamped onto a backing board. 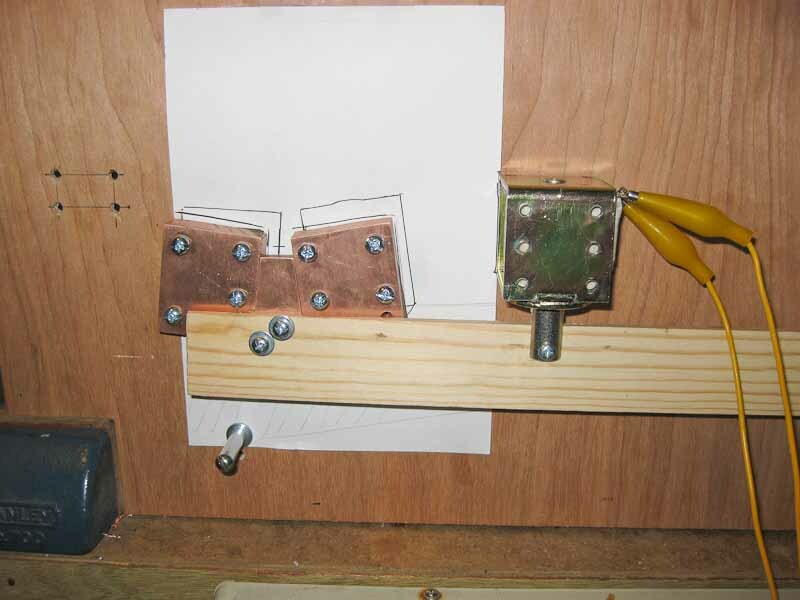 Positioning is done by pushing the pieces together and then clamp and bolt them down before anything moves. For safety reasons, this contactor is designed to operate vertically. If something doesn't work then gravity will tend to leave it in the open position. The lever arm was doubled in length compared to my first attempt. 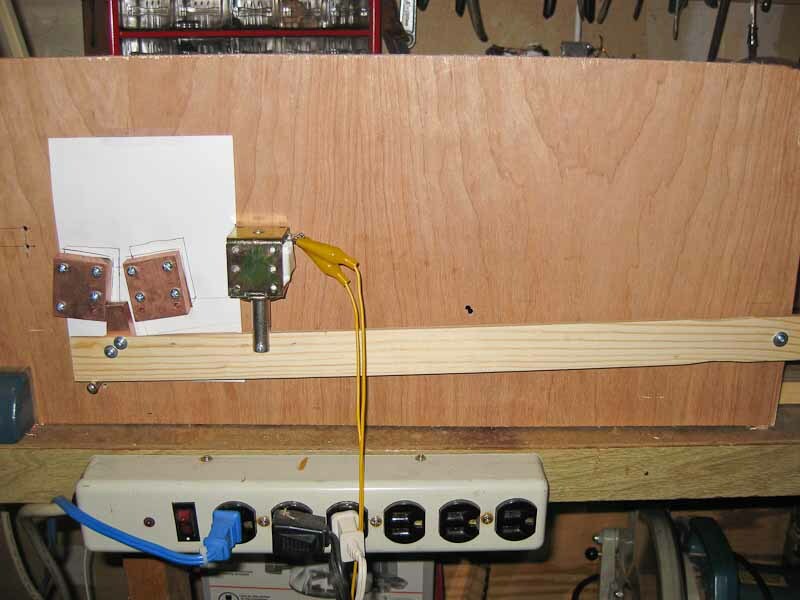 This helps the copper wedge move in a more linear fashion into the receiver.